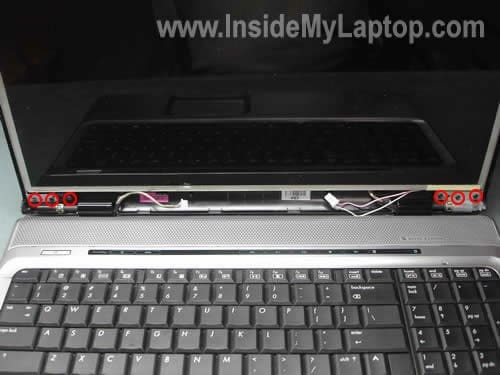 HP Pavillion dv9000 laptop. 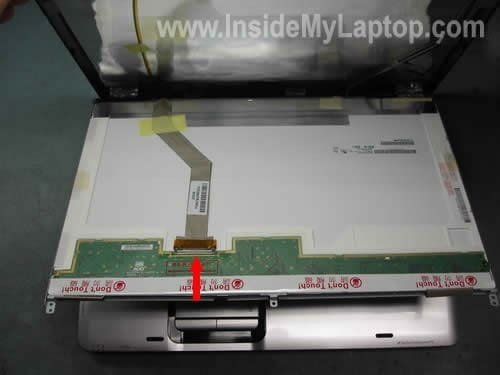 How to remove LCD screen and inverter board. Now we are going to remove the LCD screen bezel. 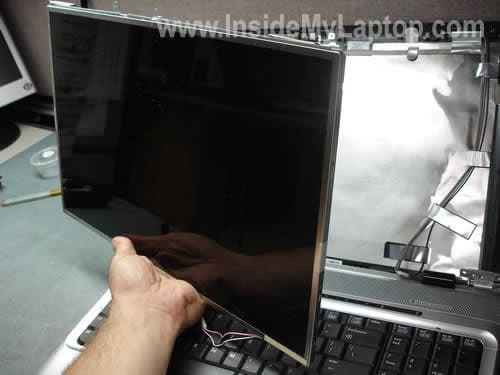 Insert your fingers between the bezel and LCD screen and carefully disengage plastic latches. LCD sceen bezel has been removed. You’ll find the inverter board under the screen. 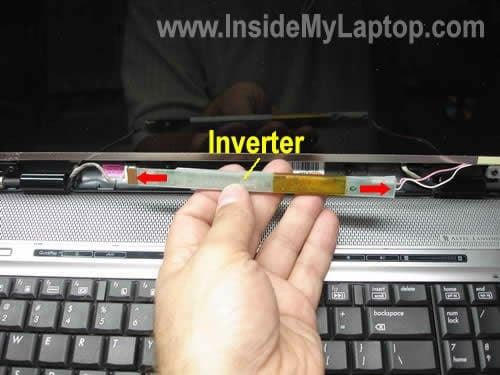 Carefully unplug cables from both sides of the inverter board. 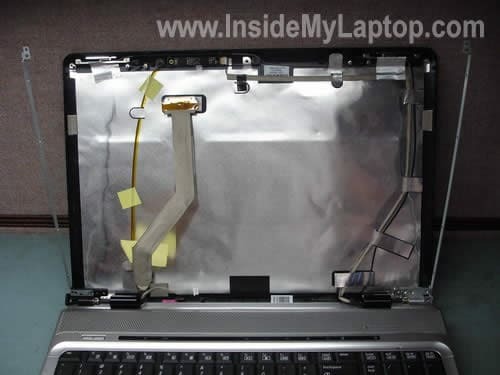 Remove the screen inverter and replace with a new one if needed. 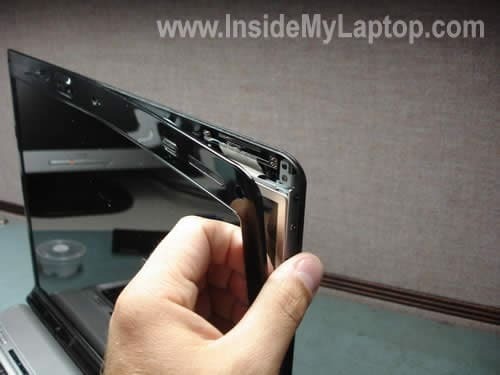 Remove three screws from each side of the screen. These screws securing the screen hinges to the cover. Now you can access the back side of the screen. Carefully remove sticky tape securing the video cable. 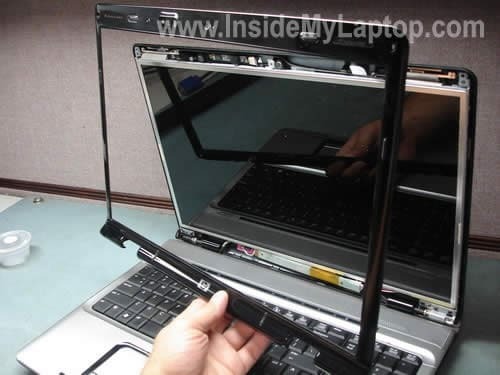 Unplug the video cable from the screen. 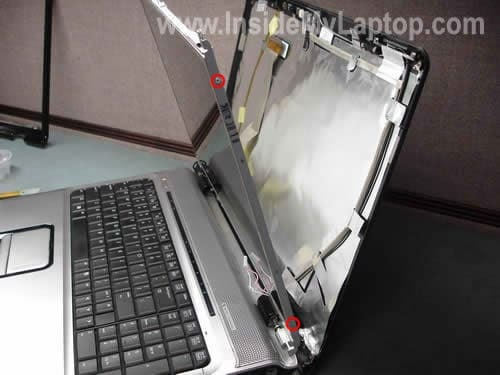 Remove two screws from each side of the LCD screen. These screws securing the screen to the hinges. 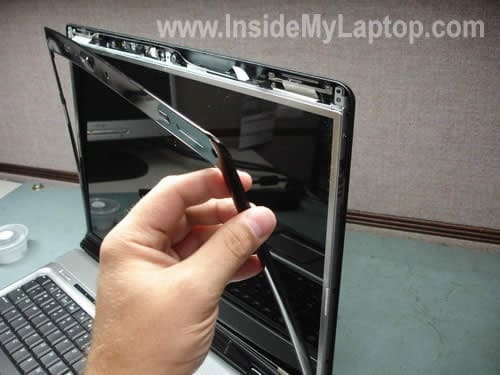 Remove the screen and replace it with a new one if needed. LCD screen, bezel and inverter have been removed.